Rob Barron, co-founder of Iowa Political Network, at IPR's Des Moines studios. 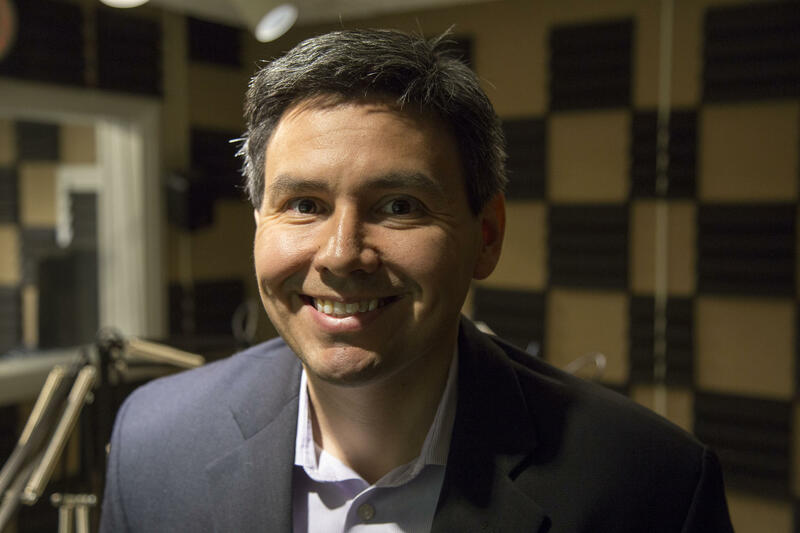 IPR Morning Edition Host Clay Masters speaks with Latino Political Network co-founder Rob Barron on Morning Edition 6/19/2015. A new group, called Latino Political Network, aimed at increasing the number of Latinos running for elected office in Iowa holds its first meeting. Currently there are no Latino members of the Iowa legislature and this group wants to change that. The organization was modeled after a similar Iowa group called 50/50 in 2020 that encourages women to run for elected office. Latino Political Network Co-founder Rob Barron says his group does not have a set goal in mind other than helping Latinos run for office. Barron himself is a member of his local school board. Barron is a former the former staff director in Iowa for retired Democratic Senator Tom Harkin and currently works for NextGen Climate but he says this group is non-partisan. The kickoff event on Saturday is held at Simpson College’s Ankeny campus at 1:00 and will have Latino representatives from various local offices. Every four years, politicians and the reporters who cover them spend months in Iowa wooing voters ahead of the February caucuses. There's inevitably a lot of photo ops with grain silos and corn fields in the background, not to mention interviews with weathered farmers who are supposed to stand in for the state's two million registered voters. At Meredith Middle School on Des Moines’ northwest side there are more than 30 ways students say hello. The number of languages can change week to week. 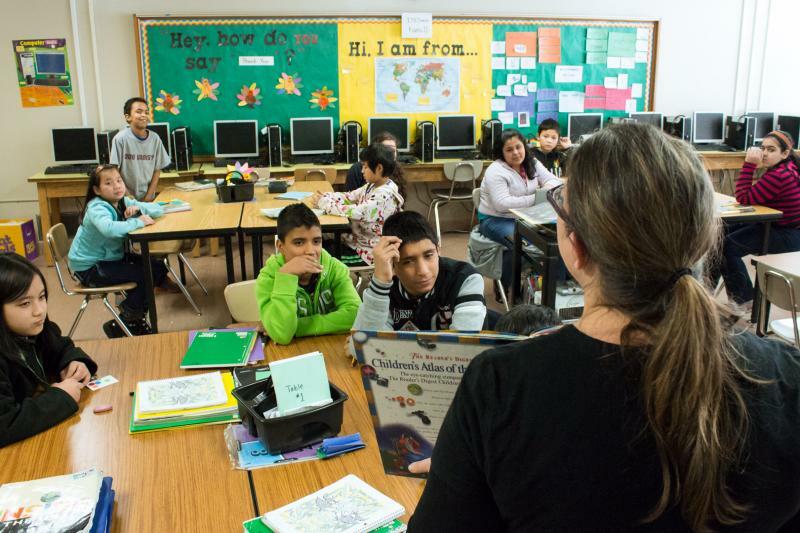 This school year the Des Moines school district will receive more than 6 million dollars from federal and state funds for ELL services, and will also spend more than a million dollars of its own money. Next year the district plans to have more than 6,000 ELL students. "Being in Iowa" starts with a series on "Being Latino in Iowa." Reporter Rob Dillard will bring us stories about how this growing minority group is transforming some aspects of life here. Latinos now make up five percent of Iowa's overall population, numbering more than 152,000. That's a nearly 84% increase since 2000. Many of these newcomers are settling in rural areas of the state. 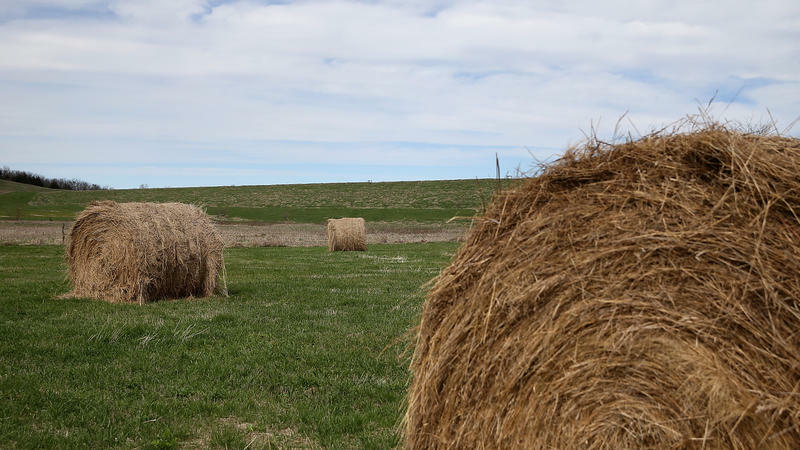 Rob starts his series by looking at how that's altering the character of small-town Iowa.